In project management, turning “Pro” to me means reaching the point in your career when you can still feel successful, even when we end up delivering a failed project. Unlearning what we have been taught, since the beginning of our careers, as the definition of a successful project manager. Separating the definition of our success as individuals from that of our project’s outcome. Having the capacity to detach ourselves, as much as possible, from the outcome of the project (whether it is success or failure). We all grew up with the iron triangle. 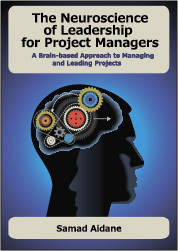 It has been drilled into our psyches from the day we took our first Project Management course. We have been taught that a successful project manager always brings projects on time, on budget, and on scope. This definition actually sets us up to fail, even when we succeed because as we know it is impossible for some projects to meet this definition of success. The good news is that the iron triangle is dead. PMI, after 50 years, has killed the iron triangle in its latest PMBOK edition. So we should too. We need to learn to separate the definition of our success as individuals from that of our project’s outcome. After many successes and failures, we eventually learn that there is a thousand reasons why a project can fail. And if we try hard, we can always find a way to link each and every reason to something we as project managers did or failed to do. But blaming ourselves is actually not useful as it misdiagnoses the problem and ignores the fact that projects live and die in organizational ecosystems. And these ecosystems, more than the Project Manager’s actions or inactions, will determine which projects will success and which will fail. Projects that start out as a good idea and remain a priority but they represent a threat to a faction within the organization and they do everything they can to derail them. Projects that are a good idea, remain a priority, everyone supports them but the organization does not have the capacity to deliver them successfully. This could be due to lack of skill or high workload. In most organization, the project manager does not have the luxury to say “No”. We simply have to accept the fact that a percentage of our projects will fail and they should fail. And when they do, how we interpret and reframe that failure will determine how quickly we will bounce back. If we are not careful, the stories we tell ourselves can start chipping away at our confidence in our capabilities, self-esteem, and overall mental and emotional health. Acquiring the capacity to detach ourselves, as much as possible, from the outcome of our projects will actually help us to be more successful. When we are so attached to the outcome of the project, there is a danger that our egos will get in the way. We can fall in love with our projects and fail to see all the dimensions of the situation. We can get suckered into pushing the wrong initiative and carrying someone else’s water. When our egos are in the way, we can start acting defensively and miss the opportunity to exercise true leadership and do the right thing. And doing the right thing sometimes means pulling the plug on a losing proposition. We have to be O.K with that. That’s quite a thought provoking post. I do tend to agree with you on the whole, but tend to think it’s ok to be upset if a project fails. After all, you have put a lot of effort into it. What’s wrong I think is seeing that as a reflection of you and your capabilities. Thank you for your comment. I agree that it is O.K to be upset if project fails as long as project managers don’t dwell on it for too long to the point where it starts undermining their self-confidence. It is all about how quickly they can bounce back and keep growing and advancing their skills. I have bookmarked your blog will be checking out out. I have read and enjoyed your insights on “Agile Project: Problems / Pitfalls”. I can confirm that I had similar experiences with Agile teams.